After Claremont left, Gary Friedrich picked up the scripting duties. Co-creator of Ghost Rider and Son of Satan, acclaimed for scripting Marvel’s Frankenstein, Friedrich was a solid option for a character so stoutly grounded in occultism. His experience on war comics may even have tailored him well to the British readership, as to today Commando survives on newsagent shelves. That said, Friedrich chooses to refer to the faces in the CB origin as “Gods,” and his Brian wonders who they were. 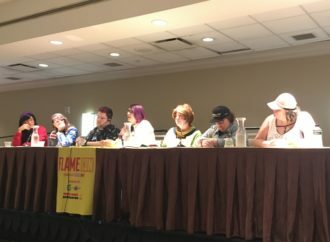 Retcon by way of ignorance? Could have been. Friedrich took over just as Brian’s older brother Jamie had discovered Brian was Britain. 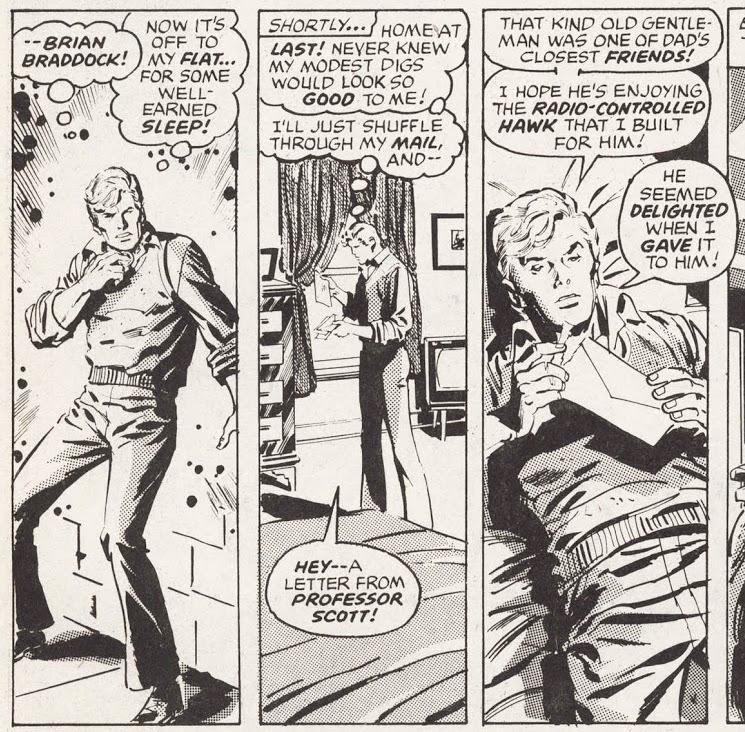 His first issue contains a rather funny panel with the younger striding way from the elder and out the door, declaring “So until I’ve had time to think — to sort things out — Let’s speak no more of this!”—Trimpe’s assertions that his two script collaborators were “miles apart in personality and approach to a story” beautifully illustrated. 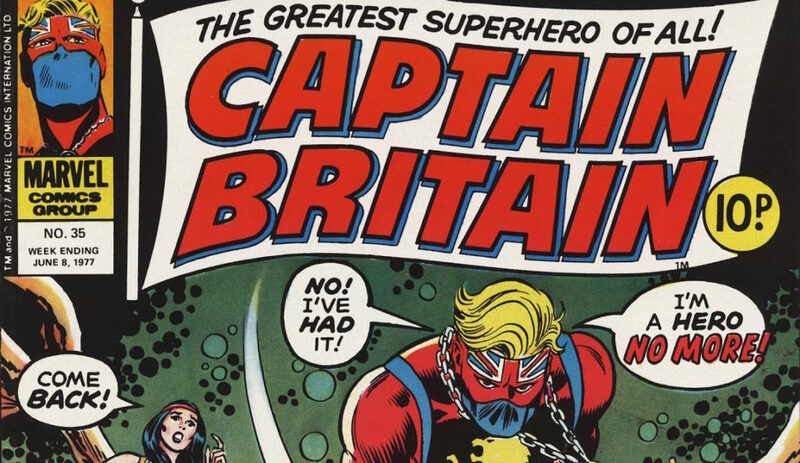 Friedrich capitalised on Claremont’s identity crisis, having Brian (as Captain Britain) enjoy extending his superpowers so much that he declares to himself “It’s as if Brian Braddock no longer exists!”—and then considering killing off his civilian identity. Might makes the pursuit of Right a lot easier to handle. 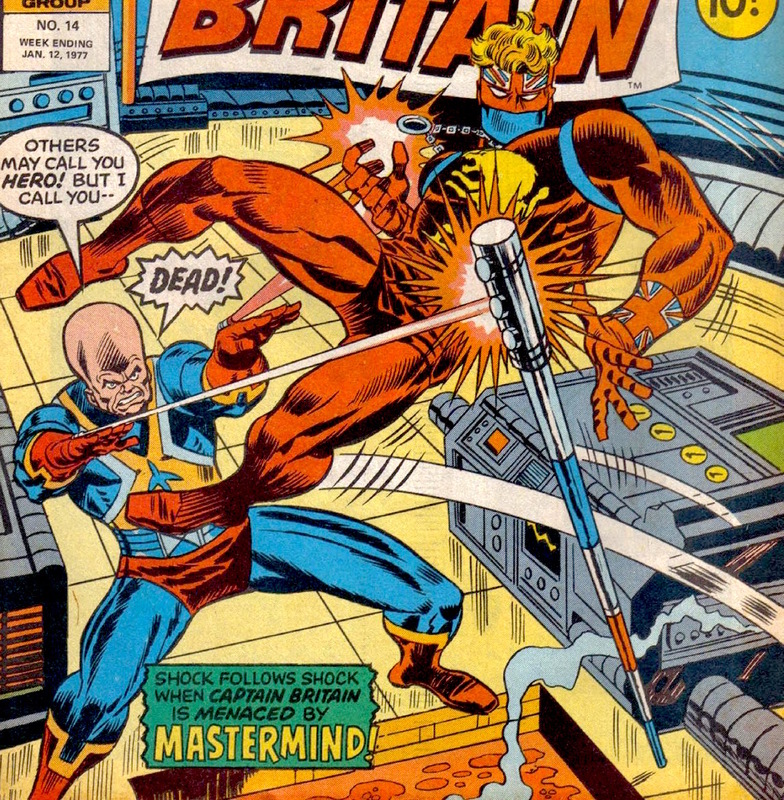 Friedrich introduced several long-term characters to Captain Britain. Claremont had established Brian’s university friends and his siblings, racing driver Jamie and twin sister Elizabeth (a weakly drawn character, though of course a pilot, and at this point a blonde); Friedrich added Emma Collins, the family’s char-woman (cleaner), and Mastermind… the hyper-advanced computer that’s become self-aware and resides in the basement. Mastermind was built by Brian’s father, and under Friedrich it goes forever-unexplained as to why the computer is evil. It is, I must say, a little bit suspicious. Friedrich’s Brian Braddock is also an ex-player who gave up his easy charm and casual kissin’ when he realised he was out with “a bird” the night his parents died. If only he’d been home with them, and not out shagging! They may never have been electrocuted! Well, it’s original. And it does make Brian feel accessible. Trimpe and Kida’s treatment of the man and the costume is still good, with the attention payed to making sure his magic necklace flies about as it would in a fight (or during flight), sometimes even seeing the pendant fly out behind him, lending a nice sense of physicality. For all that he develops what’s been there before, it only took Friedrich five issues to bring in S.H.I.E.L.D., Nick Fury, and Captain America to Captain Britain’s allotted weekly page count. Fighting the Red Skull—who wants, and is aware of, the evil Braddock computer (suspicious)— brings the two captains together, and allows Freidrich a bit of his home turf in a story set abroad. To his credit he doesn’t forget Dai Thomas, and introduces S.T.R.I.K.E. (Special Tactical Reserve for International Key Emergencies— Britain’s answer to S.H.I.E.L.D., obviously), giving us some scenes with the Prime Minister and a nice bit of government corruption subplot. Quite, quite different to Brian’s first adventures, which were all “an old man has gone loopy and got a gimmick. 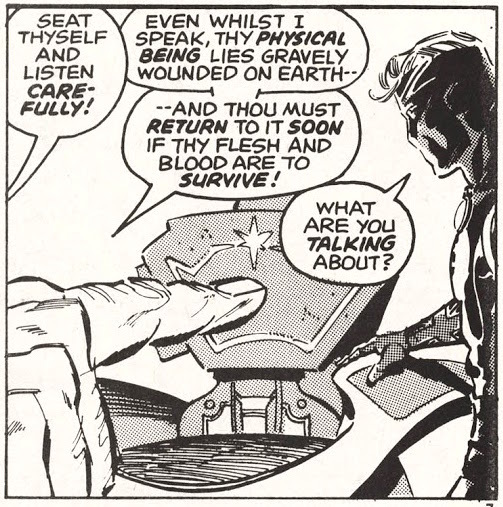 I’d better fight him in the countryside until he stops.” But very readable, and generating a pleasing friendship between Brian and Steve Rogers, and an agreeable respectful mistrust shared by S.T.R.I.K.E. head man Commander Lance Hunter (who, under Trimpe and Kida, has the most deliciously seventies boss design). 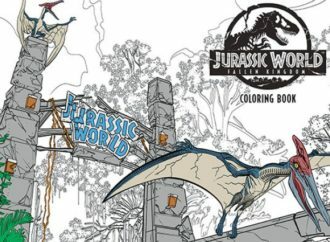 During this extended adventure Braddock Manor is bombed out of the story. 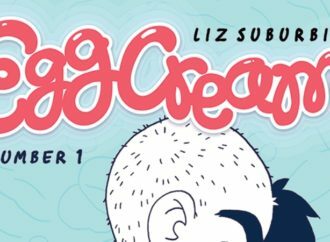 Issue twenty-four made it clear things were going wrong. 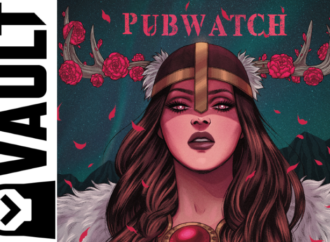 The cover lost the “FULL COLOUR” claim, and the colour pages it had been trumpeting. The back-up strips emphasised the presence of imported American, TV-familiar strips inside. All that, and a free gift too! Friedrich was sometimes being supported on plot or dialogue by editor Lieber, indicating a loss of investment, and though John Buscema’s sudden pencilling takeover (ink and finishing duties shared between Kida and Tom Palmer) was dynamic and attractive in its own right the loss of interior colour made it drab in comparison to Trimpe’s founding run (and he didn’t have the handle on Lance Hunter’s non-traditional masculinity at all). 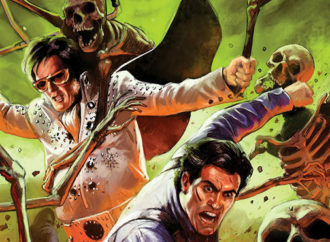 Lieber’s editorial oversight was becoming demonstrably slapdash, with characters changing appearance between issues and spelling not receiving much attention. The Captain hung on for twelve more issues. He finished fighting nazis in #25, after which things changed direction again and Brian went back to his roots: fighting an old man who’d gone loopy and got himself a gimmick. Every now and then Friedrich made sure to check back in on Betsy or Jamie, letting old physics student Brian take the page that his alter ego dominated, like in #26 where he accidentally stiffs a taxi driver and lies back, worn out on his lodging bed, to read a letter. Lord Hawk, actually an old professor friend of Brian’s, is upset about increasing industrialisation and loss of England’s natural forests. Because of this he uses a robot hawk (which Brian had built for him—impressive!) 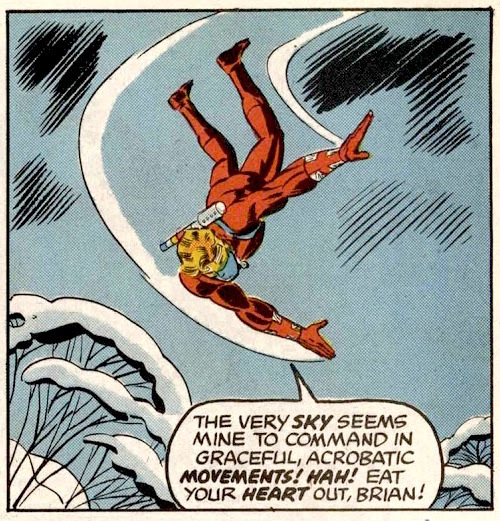 to menace the country and the city and Captain Britain himself, til Brian, with some effort, broke it. In Issue thirty-one, Ron Wilson and Bob Budiansky—he of Transformers foundational fictionalisation fame—took over art, retaining assists from Kida. It’s very noticable how lovely Kida’s inks are, seen across three different pencillers, and in comparison to Wilson and Budiansky’s issues without him. 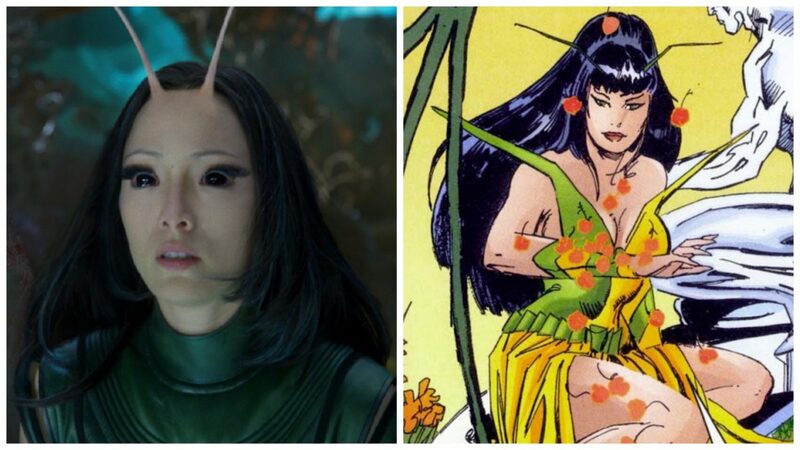 They have a keen, scratchy effect, which suits the nerves of the character as well as the mystic elements of his creation… which, for their part, now turn cosmic. As S.T.R.I.K.E. medics try to save the life of Captain Britain (robot hawks give as good as they get), and as Jamie Braddock comforts Betsy who’s had a nightmare about Brian (foreshadowing her eventual development as a telepath, although here really nothing more than twin magic), Brian mind-quests off into the void of space, fighting nonsense monsters as the ancient sky faces from his origin observe. Thirty-four puts it down on paper for the first time: the beardy one was Merlin. Thirty-five gives us “my daughter, Roma.” Captain Britain’s origin is solidified in Marvel canon as fully Arthurian. Merlin left Arthur’s Camelot because he saw that he glory days were over and that mortal men just couldn’t be largely relied upon, but he left behind the sword and the amulet… just in case any one man might be. Merlin, by the way, is a “star-born space traveller.” He just likes to meddle. (Meddle-ion! Ha.) Merlin wants to test Brian some more, again, and Brian, being the slightly short-spoken fellow we have grown to know, and with the sum of all of this throwaway worries and weariness, has had enough. He makes a fuss and says he won’t be a hero any more. Friedrich may not have Claremont’s sense of social melodrama, but he makes an opera of it and has plenty of bellowing: after Merlin shouts at him just enough, Brian figures there’s no point shirking. 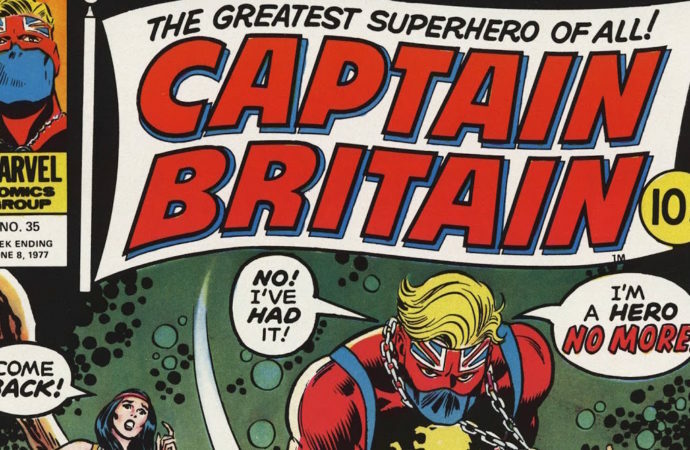 “Captain Britain! Like it or not, my fate has been sealed!” And in reward, Merlin makes CB’s stick extra-fancy. It’s gold now, and known as the star-sceptre. I don’t know if it reads differently for Americans, or for people who have been around fewer posh and semi-posh boys than I have, but “Like it or not, my fate has been sealed!” does not read to me as expressing distaste. There’s a way about it, on this character, with this background, that sounds like today’s “welp!” Not much bitterness, not real dismay, but emotional realism: well, this is what I’ve got, then! Might as well make the best of it! Just imagine Cary Elwes in 1987. 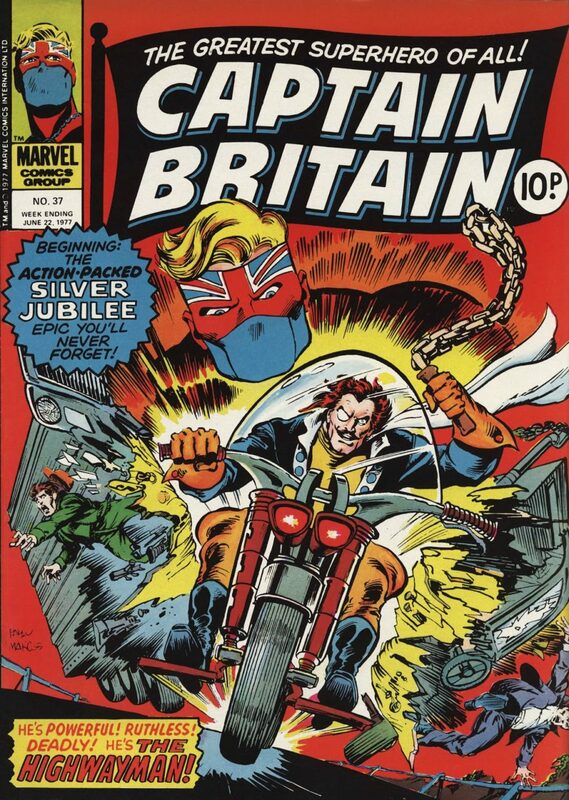 Captain Britain Weekly ended in the summer of ‘77, on the third chapter of a continuing Silver Jubilee Special: Brian works to stop a cavalier motorcyclist and a deposed, white, colonial tyrant from brainwashing the Queen into re-conquering a free (fictitious) African nation. 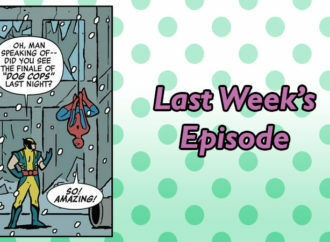 With #39, and at a weekly release schedule that’s not even a year into publication, Captain Britain Weekly is dead; long live Super Spider-Man and Captain Britain! With the end of CBW Friedrich was out, and so was Buscema. Captain Britain was due another backstage change.